Mathematics major and Gender Studies minor and senior Naomi Oster talks about her experiences as LUCC Vice President and as a high achieving senior at Lawrence. What does it mean to be engaged, to be empathetic, and to strive for understanding at Lawrence University? What does fulfillment at Lawrence University look like, and more importantly, what does it look like in action? 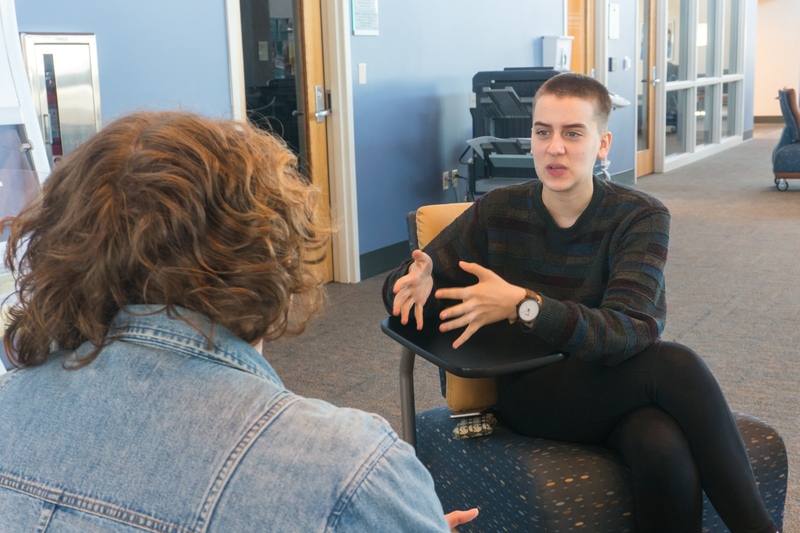 This column strives to ask these questions and search for answers by having conversations with seniors working on their Senior Experience Projects here at Lawrence on how they are using their studies and passions as tools to create. Senior major in Mathematics and minor in Gender Studies Naomi Oster is a familiar and bright face around campus. Her role as Vice President in Lawrence University Community Council (LUCC), commitment to service and her interest in big questions all push her to be an engaged and serving community member on campus.